Sherig, Department of Education, Central Tibetan Administration. On average, 950 Tibetan students graduate from different Tibetan schools in India every year. The Department of Education provides scholarships for further education in India to 150 - 200 of these students each year. This includes university and college courses as well as vocational training. SHERIG is also responsible for the selection of candidates for the University reserved seats for Tibetans provided by the Indian Government for professionally orientated courses. You will need to contact SHERIG and fill in an application form if you are interested in these seats. For more information on Department of Education scholarships for Tibetans wanting to study in India and abroad, have a look at http://www.tcewf.org/scholarships/index.html and at the announcements section at the top of the page. Tibetan Homes Foundation provides scholarships for higher education and vocational courses in India to students who have studied at Tibetan homes Schools. FUR has instituted a Scholarship programme for graduate and undergraduate students. Special scholarships are also awarded for the advancement of Tibetan school children. This component of the scholarship supports the complete schooling of Tibetan youth in first class institutions across India. 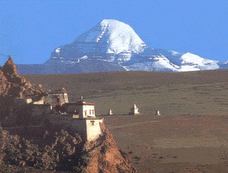 The Tibetan Scholarship Programme provides an opportunity to motivated Tibetan youth, for the pursuit of professional degrees in reputed institutions of higher education in India. These include the Indian Institutes of Technology, the Indian Institutes of Management and the All India Institute of Medical Sciences. The Scholarship covers the costs of the degree programme as well as financial support and guidance from the coaching to the examination. The Programme awards between five and ten scholarships to Tibetan students each year.